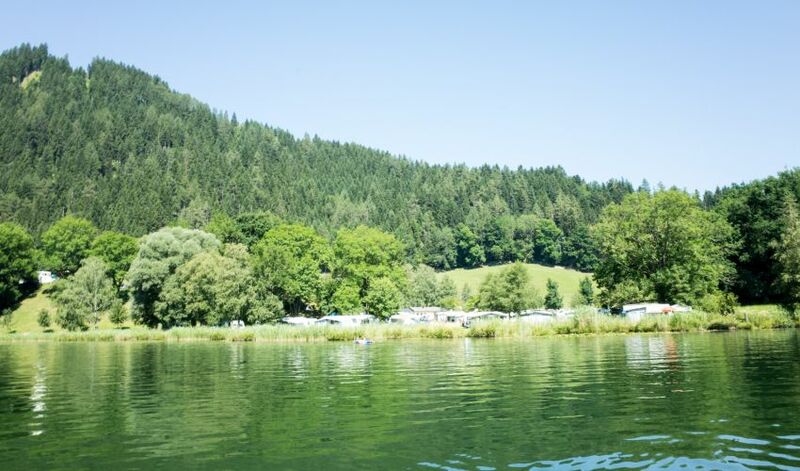 Camping directly next to a natural lake is an absolute highlight for camping enthusiasts. 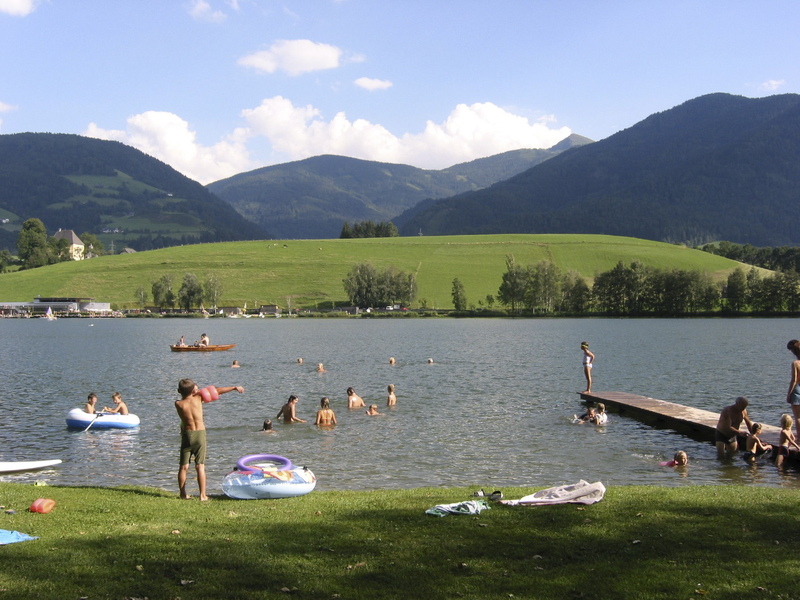 Putterersee lake is the warmest alpine moorland lake in Styria (with temperatures of up to 26°C). 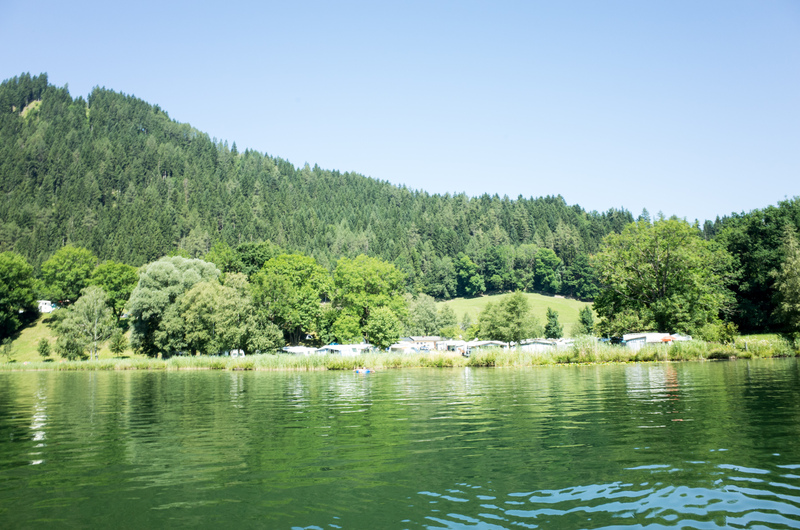 Surrounded by a natural belt of reeds and birch trees, our campsite is situated in an absolutely sunny location. 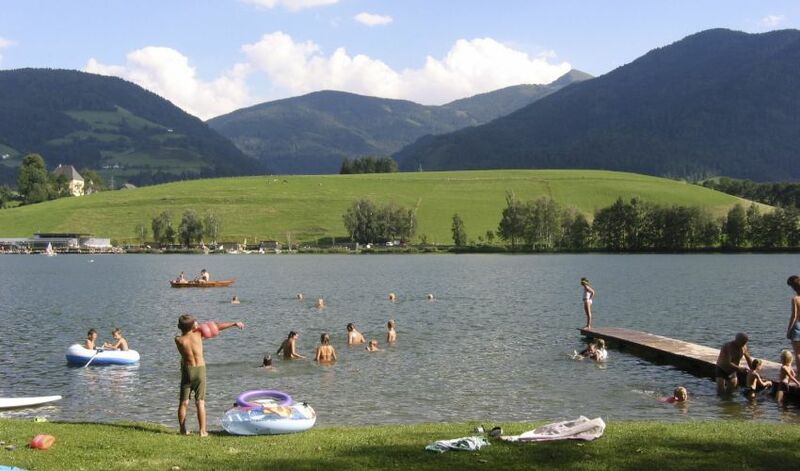 The flat beach slopes gently into the lake, making it easy for children learning to swim. 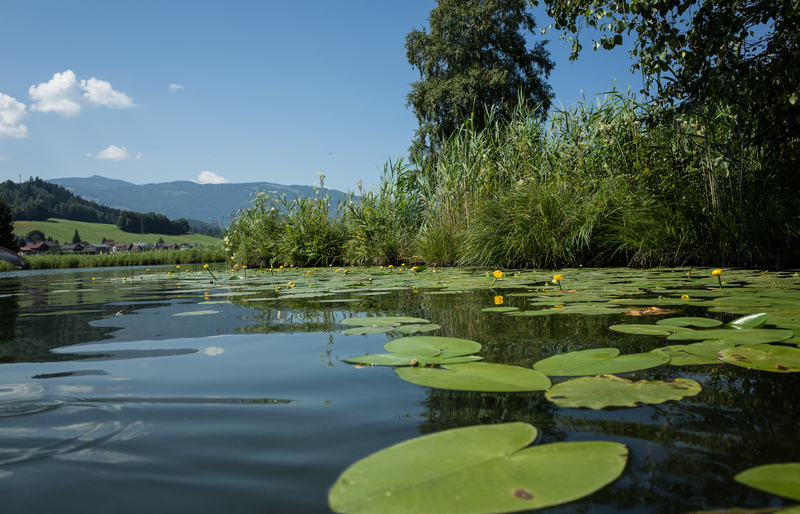 The sunbathing lawn with views of the Styrian lake convey a feeling of serenity and happiness. Boots can be moored to the jetty or it can serve as a springboard into the lake. 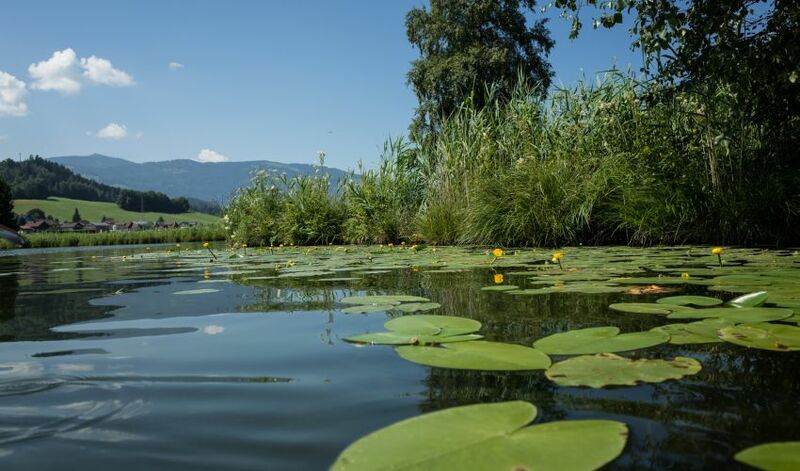 The large number of fish and the luminous water lilies are proof of the excellent quality of the water in the lake.